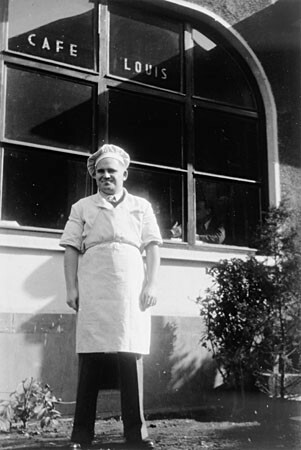 German Jewish refugee Erwin Eisfelder stands outside Cafe Louis on Ward Road. The cafe was named in honor of his father. 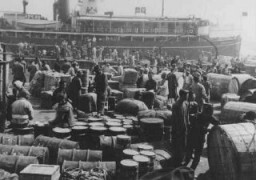 It was a popular gathering place for refugees in Shanghai during the war years. Shanghai, China, ca. 1944.